We are committed to ongoing education and always use the most up to date technology for the job at hand, including the latest in green plumbing technology. Our goal is to provide you with outstanding service along with everything you need to make informed decisions about your purchases. Don’t just fix your leak, fix your water bill! Green Plumbers is an innovative, national training and accreditation program that assists plumbers in understanding their role in the environment and public health. The organization’s goal is to train and deploy a green army of thousands of plumbers to promote the benefits of water conservation and the reduction of GHG emissions. The focus is on changing consumer and plumbing behavior through the use of energy efficiency and water saving technologies. As a member of Green Plumbing our goal is nothing less than a complete culture change for our plumbing industry. WHAT IS A GREEN PLUMBER? WHY CHOOSE A GREEN PLUMBER? These companies have committed to training their entire staff in the most advanced technologies and products, ensuring water and energy savings for the consumers. Licensed Green Plumbers promise to adhere to the Green Plumbers code of ethics, they’re knowledgeable about local rebates and incentives that can save their customers money, and they’re the best-trained in their fields. 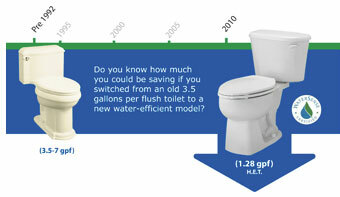 LOOKING TO SAVE MORE ON YOUR WATER AND ELECTRICITY? CALL M.A.C. STEWART PLUMBING YOUR GREENBRADFORD PLUMBING SPECIALISTS, TODAY AT (705)7335154.